Mihalko helps Solnick through her tire woes. The founders: Kirschner and Mihalko search for a culprit in the base of a thrice-burst tire. Masotta, with Faustini and Fremd. Rachel Mihalko lifted a tire in the air, running her fingers over its ribbed surface until they reached a long gash in the front. Through a maze of spokes, her eyes focused and refocused. This was the culprit, she told the tire’s owner, Rachel Solnick — and they were about to fix it for good, by themselves. That interaction is routine for Chainbreakers, a new ladies’-night-meets-bike-clinic designed “to support bicycle culture, community, and learning from each other without the atmosphere of a traditional male-dominated bike shop.” Co-founded by Mihalko and New Havener Sara Kirschner earlier this year, the series is run out of the Bradley Street Bike Co-Op (BSBC) on the first and third Tuesday of every month. The next session falls right after Labor Day, on Sept. 5. Mihalko at last month's session. 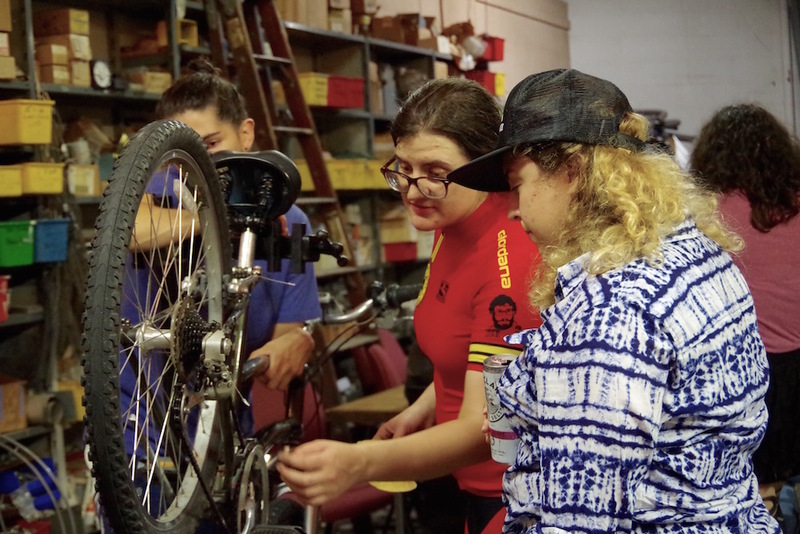 Started in July, Chainbreakers brings together women in New Haven for a single mission: empowerment through do-it-yourself bike maintenance. But it’s a revival more than a creation. For several years, Kirschner helped run a monthly women’s bike series of the same name at Never Ending Books on State Street, drawing a crowd of what she called “DIY vegan punks” into the small space. For a year and a half, “a core group of people” stepped up to run it, holding repair nights, outdoor bike repair clinics, and publishing a Chainbreakers’ zine for readers in the community. But the first Chainbreakers turned out not to be sustainable. 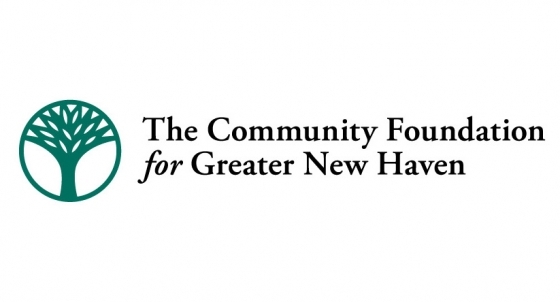 New Haven’s transient population meant that members came and went every few months, which led to a high turnover in leadership. Ultimately “it just sort of petered out,” said Kirschner. Until earlier this summer. 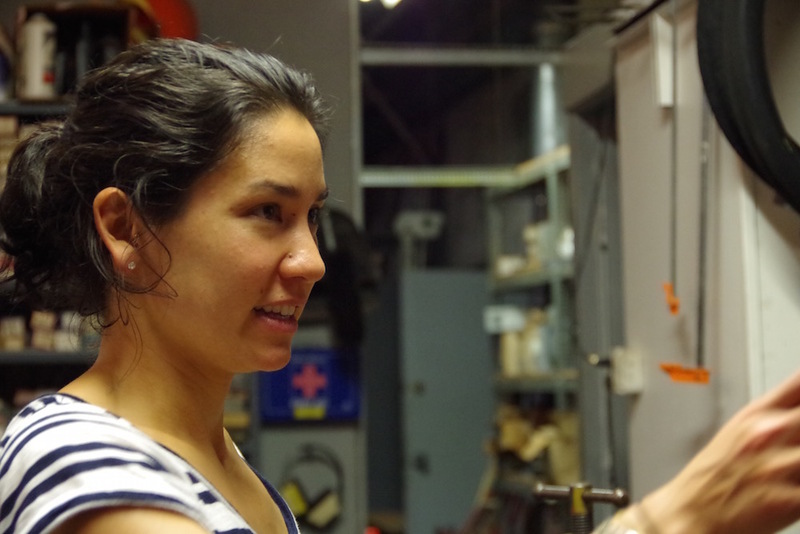 In June, Kirschner met Mihalko at a party at BSBC, and found herself with a beer in one hand and tens of bike maintenance stories in the other, unspooling old Chainbreakers memories one by one. An archivist by day and self-taught bike mechanic by night, Mihalko proposed starting it up again out of the co-op. Within days, she had pulled BSBC founder John Martin onboard. A month later, Mihalko and Kirschner were holding the first session under the Co-Op’s bright lights, walking a small crowd through the basics of chain repair and replacement and tire maintenance. They said they never know exactly who will walk through the BSBC’s doors — often a few first-timers, and some of of Kirschner’s friends from rides around town and East Rock Coffee, where she is a manager and barista. Attendance has also grown by word of mouth, through networks at the BSBC and New Haven Bike Party. "It's such a game changer to feel connected to the city you live in, even if it's just for a short time," added Mihalko. "I think the Co-Op is a place that really encourages that kind of community. I love that we can have a night that's female-centric in a world that tends to be male-dominated and intimidating." On a recent Tuesday, that female-centric energy flitted through the space, settling on bike stands and discarded tires, tubes of grease and the occasional errant wrench. In one corner, Mihalko and Solnick had moved from replacing the tire to putting it back on the wheel, and then checking a brake cable that had snapped mid-ride. A resident in the emergency room at Yale-New Haven Hospital, Solnick takes her bike to and from work all the time. A ruined cable could upend her whole day — and her bike. Not far from her was 23-year-old Michelle Orden, who showed up wanting to learn more about her bike — and about New Haven. A recent transplant who moved for an Americorps Vista position with Squash Haven, she said she was drawn to Chainbreakers because of it’s inclusive sort of exclusivity — a space to play like a girl, and fix a bike like one, too. Working at the center of the space, Cassandra Faustini helped newcomers Jen Fremd and Sarah Masotta sort through their respective bike ailments. As Fremd took a closer look at her brakes — they’d been giving her trouble, she explained — Masotta got advice on how to grease her springs. She’d heard about Chainbreakers while kvetching to a fellow New Haven Bike Party-er that her frame was shot, and she wanted a better bike. He suggested she try Chainbreakers before losing hope. “It’s empowered ownership of your bike and the construction of it,” said Masotta, an assistant at the Yale Jackson Institute for Global Affairs. She adjusted the brim of her baseball cap to expose the words MAKE AMERICA FEMINIST FOR ONCE.